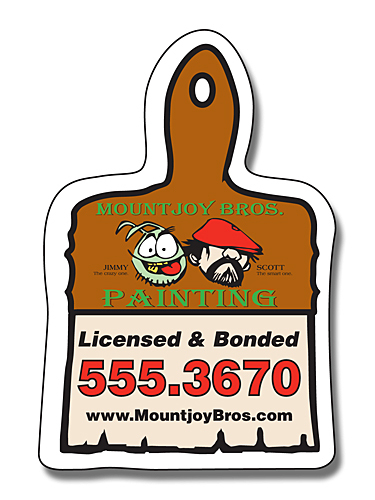 A 2.375 x 3.5 paint brush shaped magnet can aid advertisers involved in painting business or interior decorators offering painting services. This magnet is outdoor safe and fit for advertising over cars. 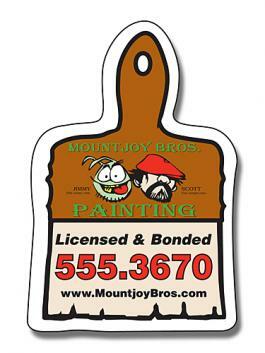 This magnet offers easy visibility to advertisers and they can definitely gain from improved brand value. Advertisers working in low budget can get it customized against a payment of $0.68-$0.26. Product Size : 2.375 in. x 3.5 in.